While many people think of Christmas as the most important season for self-storage demand, the truth is that summer is equally strong as many Americans wait for school to end before they relocate. And, as a part of relocation many American households store some or all of their material possessions during the moving process. Some elect to store their items while they test the new location to see if they want to go through with it, while others store those items that can't fit into their new home immediately, or that they want to leave for their potential return. This association between storage and relocation is what made the industry strong despite the Great Recession, when millions of people stored their goods as a safety precaution when they became destabilized as a result of losing their jobs and homes. And this is an interesting lesson learned from self-storage history, as the origins of the business model began in England when gentlemen officers would store their furniture and artwork in secured, guarded buildings before going off to war. 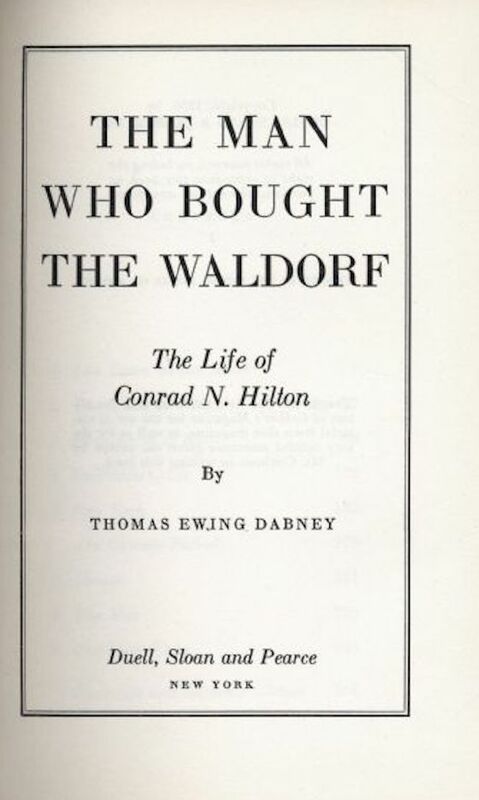 Our favorite real estate book is "The Man Who Bought the Waldorf" which is the story of Conrad Hilton, the hotel pioneer. Unlike most real estate books, however, it has a rags to riches to rags 2.0 to riches 2.0 construction that is quite remarkable. And the lessons learned are many and highly important to the self-storage industry. Conrad Hilton grew up in tiny Cisco, Texas, where Hilton's parents owned a small hotel. It had about 10 rooms and was a total dump. His mother convinced him to leave Cisco and try to get into the hotel business in the big city: Dallas. There he built a super-fancy high-rise hotel that was successful, and he rapidly built an upscale chain of identical hotels. Then the Great Depression hit in 1929 and he lost everything. Out of money and out of a job, he pitched the concept to the banks that had just foreclosed on him to allow him to keep on managing the hotels he had lost. Although it was an unusual offer, they had no alternative so they made him the manager. While managing the hotels, he noticed that times were improving in the late 1930s and decided to make his move. He raised money and offered to buy the hotels back at a fraction of what he had spent to build them. With no other offers, they accepted. He then rode the upswing in the U.S. economy before and during World War II, and used the cash flow to buy out all the major hotels in America at that time, including the Plaza, the Palmer House and the Waldorf (which is what the book is titled after). Hilton hit a wall with the Great Depression that wiped out all of his dreams and years of hard work. Most people would be so depressed from losing their empire that they would curl up into a ball and cry. But Hilton never let it get him down, and wasted no time in coming up with Plan B. This is an important trait for any self-storage investor, as things don't always turn out like you planned and you need to be able to quickly maneuver and try again when that happens. If Hilton had not fought back every time he was down, he would never be the hotel magnate that became a household word. Hilton learned a very important lesson from his roller-coaster ride and that was "never build a hotel, just wait for recessions and buy them for a penny on the dollar". To take that idea to a broader level, you should always buy things cheaply, as that's what insulates you from economic downturns. When you're looking at buying a storage facility, you should always do an analysis of what would happen if you lost 20%+ of occupancy. Could you still cover the note? What would the negative cash flow be and could you support that? Only fools pay high prices for real estate. You never want to by at the top of the curve - you want to by closer to the bottom. If you could buy one of two storage investments 1) a perfectly run facility at a high price or 2) a terribly run one at a low price, you would definitely want to buy #2. Even though it would create more work, it would also have a ton more upside. Hilton was a huge believer in thinking "outside the box". He did things that nobody did back in that era, and made outrageous proposals on a regular basis. Who would possibly try to sell the bank on letting them manage an asset they just ripped away from you through foreclosure? Hilton would. Who would try to raise money from the same people he had lost all the money for before? Hilton would. Hilton was famous for all kinds of outrageous thinking, such as his business model of renting out chairs in the lobby to sleep in during World War II when all the rooms were sold out. The lesson here is that you should never feel confined to the normal traditions in the storage business. 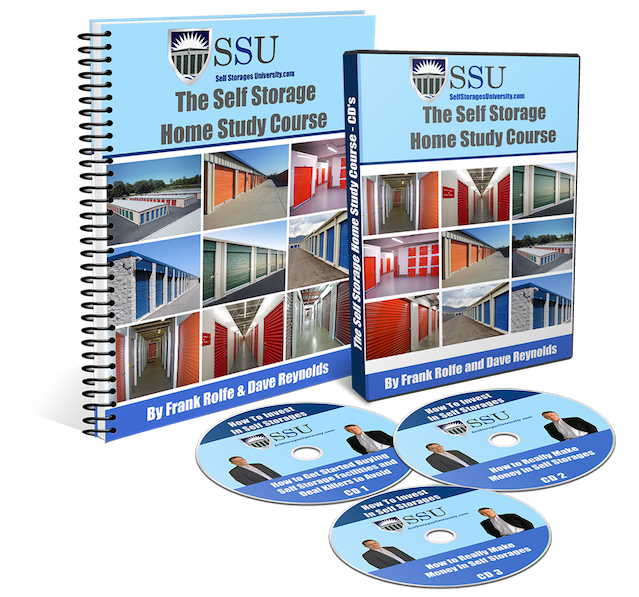 In fact, the self-storage industry was started by outrageous thinkers in California that dreamed that people would want to rent space to store stuff and get it out of their garage. If you have the opportunity, every storage investor should read the book about Hilton. It will open your mind to all kinds of new ideas and viewpoints, and the lessons learned are legendary. You can find it on Amazon or eBay. This is one of the earliest photos of what became a giant industry. 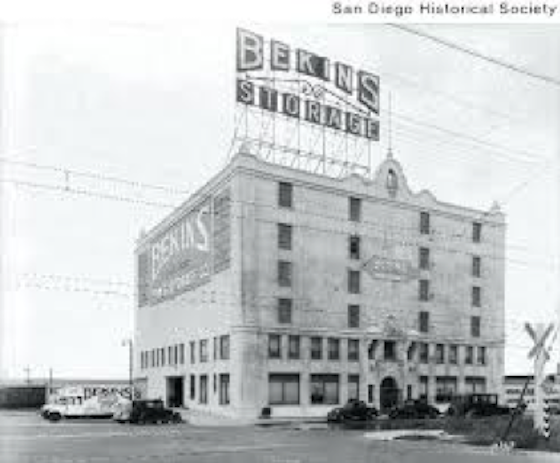 This is a Bekins storage facility in San Diego circa 1928. Although the storage concept began in ancient China, the storage industry is a truly American invention. Of the roughly 60,000 storage facilities in the world, 90% of them are located in the U.S.
Can You Make Money With A Rural Storage Facility? There are basically two types of storage investments out there: 1) urban facilities and 2) rural facilities. While most of the articles and industry news is centered around storage in larger cities and markets, that does not mean that you can't make money with storage investments in smaller markets and rural areas. It's just a different type of business. What is a "rural" location? We would define a "rural" storage facility as being one in a metro market of 25,000 people are less. But there's no science to that statement. The key definition is that it is a facility in a market that has insufficient revenue to support a full-time, live-in manager. These facilities also typically have gravel roads and low traffic counts on the street frontage. This is one of the big parts of rural storage - the plan to manage the investment. Without a full-time manager, you have to cobble together a different plan. Typically, the owner lives near the facility and simply gets the call from a customer and meets them there to sign the lease. Remember that most rural storage units turn over much less often than their big city cousins for the simple fact that people in small towns tend to move around less. Additionally, a large amount of rural storage is for cars, boats and RVs, which the owners rarely part with. Another option would be to have somebody who lives near the storage facility to be the owner, and drive over when the calls come in. The rent is typically always mailed in to a P.O. Box at these type of properties. Contrary to what you might think, these rural centers often have higher profit margins than their big-city cousins. This is mostly due to management and utility savings from not having a full-time office and staff. However, working against that fact is that revenues are lower in rural areas than they are in the big city. So in many ways, these two equalize each other - but it also means that rural storage can be just as profitable as urban storage. The biggest difference, of course, is the sheer mass of the facility. In rural markets, there simply are not enough people present to build massive complexes with hundreds of units. The rural storage business model is just as potent as the urban one. It's just a little different. Those who turn up their nose to these types of properties are just not thinking clearly. Why Is Orange The Most Common Color Is Storage Roll-Up Doors? 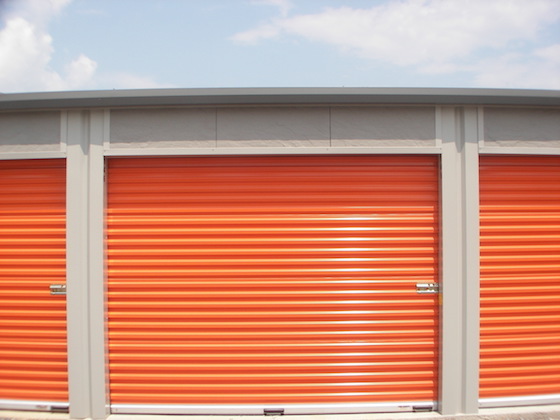 When the average American thinks of self-storage, they always think of orange doors. But why are those doors orange? Was it random or is there more to this fact? The first reason that storage doors are orange in the minds of most Americans is that the largest owner of storage in the U.S. is the REIT called Public Storage, and they chose orange. Since you see their product more than any other, you naturally associate orange and storage. It's kind of like the way most Americans call making a photo-copy making a "xerox" because that's who dominated the industry. Here's an interesting scientific reason for orange doors. Color studies by scientists have proven that the eye seeks the color that is the polar opposite of what it currently sees. In a landscape of green trees and blue sky, the opposite color is orange. That means that you are prone to be visually attracted to the color orange, and that's fantastic for marketing your property. Orange has other positive attributes. It hides rust as it has dark red as part of its tint. And it does not fade, unlike the color red which is prone to severe fading with sun exposure. It's really a hardy color that covers well. Orange is a great color to paint your storage doors. You don't have to use orange, and there are other colors that might be less obnoxious and more appreciated by your neighbors. But Public Storage certainly did not choose it by accident. Denver officials are exploring if the city should restrict self-storage facilities from being developed within a quarter-mile of light-rail stations. 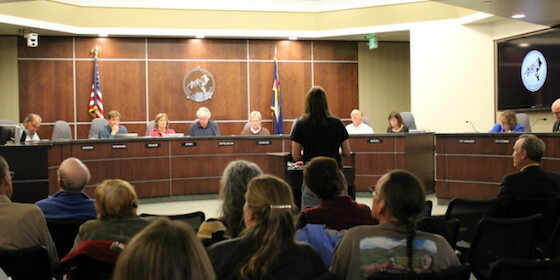 The proposed ban would apply to new construction. One council person said "very often these places look like boxes that hold boxes," they told a source. "It's not a very good use of our land." Another council person added "storage facilities-the nature of them is there are no people there. The right kind of activity around the station, I think will increase transit use, which will ultimately improve our traffic situation and really the quality of life." The move to ban self-storage development is similar to recent decisions made by other municipalities, including New York City, Woodland, California and Margate, Florida. So what's going on here, and what's the impact to the industry? City government is starting to limit where self-storage facilities can be built, after decades of allowing them to go almost anywhere. Storage has been able to fly under the radar screen of scrutiny because it's 100% profit to the taxing authority: they receive property tax and have zero costs, as the storage has nobody living in it that would require school tuition or medical cost. The only more profitable use of land - for the city - is a use that creates sales tax, which is essentially retail. But with brick-and-mortar stores on a sharp decline (and the future of the shopping mall bleak), self=storage is the best remaining money-maker. There has been over-building of self-storage in some markets in the U.S., as the result of zero push-back from zoning officials. If cities now start to give greater regulation to where storage can and cannot be built, it will serve as a buffer to over-construction, which would be beneficial to the industry. Under the laws of supply and demand, the less supply of new storage that can be built, the better the rents and values for those storage facilities that are already there. The potential for greater control of self-storage facility placement should be seen as a good development for the industry. It was a long time coming, and could finally give the industry the barrier to entry that it needs in many markets.